President Donald J. Trump is the most powerful superhero in the universe and the leader of the greatest super team in history, but when an alien menace threatens to invade America on Halloween night, who does he call? 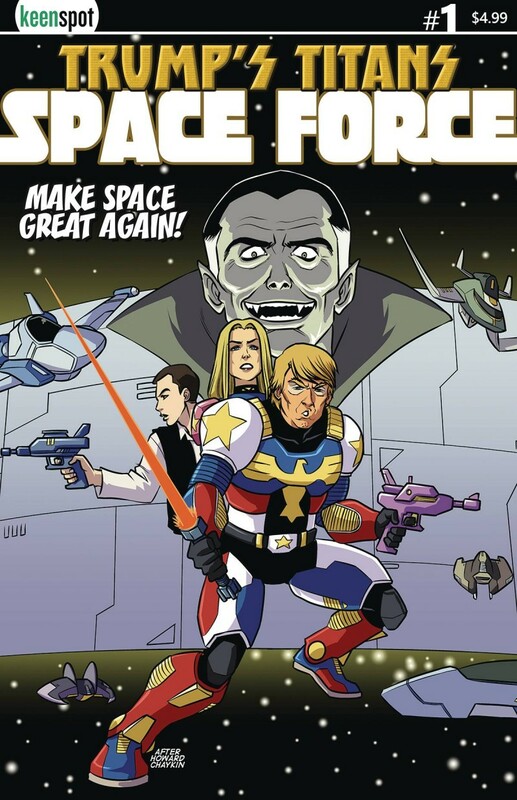 His very own Space Force! And he’s gonna need ‘em big league, because the space aliens have teamed up with the infamous Dracula, King of the Vampires! The absurdly bestselling Trump comic book parody series of all time returns in an all-new #1, because #7s are for losers!